Australia is both a country and a continent. While it's the world's largest island, it's also the world's smallest continent. It's about 3,700 kilometres from north to south and 4,000 kilometres from east to west. It has an area of nearly 7.7 million square kilometres and is the sixth largest nation on earth. Australia is 20.6 times bigger than Japan, 14 times bigger than France and 2.4 times bigger than India. At almost 23 million people, the population of Australia is, however, relatively small. Almost 90% of the population lives in the cities and along the coast, with nearly half in Sydney and Melbourne, the country's two largest cities. Australia is a multicultural country with a cultural richness which has developed through the migration of people from many countries around the world and from the Indigenous people who are the original inhabitants. 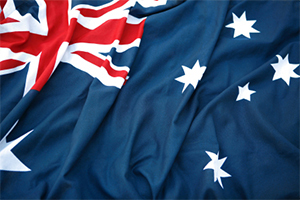 More than 200 languages are spoken in Australia, but English is the national language. Australia does not have an official religion. All religious faiths are represented with their own places of worship and everyone has the right to practise their faith.